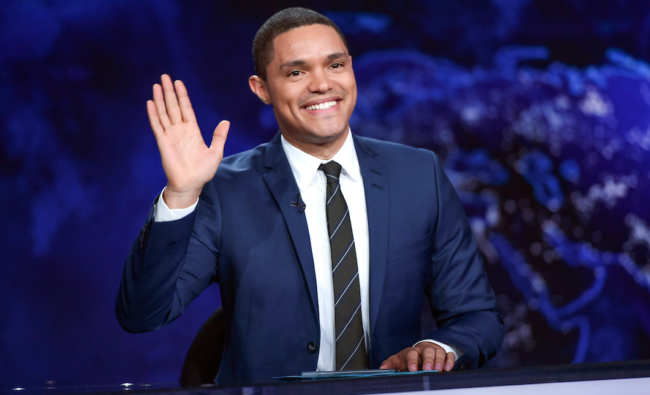 Hands up if you love Trevor Noah‘s political and comedic commentary in the late night line up! We certainly do and also appreciate his advocacy off-camera about certain issues. He has proved that he can effectively communicate audiences about serious events, including race and gun violence, and doesn’t always have to make jokes about it to be engaging. If you have read his book ‘Born a Crime’, where he talks about growing up as a bi-racial child during the South African apartheid, you will be familiar with some of his family history. Despite a time of great oppression for the black population of South Africa, Trevor has spoken of the way women were able to rise up and become strong leaders in the community, due to a number of men being imprisoned. So it’s easy to see why his penchant for politics comes naturally, given the environment he was born into. In a recent interview with Glamour magazine, he spoke to Phoebe Robinson about his feminist roots, what influenced them, and how Donald Trump helped make his show better. Having had multiple female leaders on his show such as Girls Who Code founder Resham Saujani, Bumble founder Whitney Wolfe, Planed Parenthood CEO Cecile Richardson and more, he was asked at first whether he considers himself a feminist, and he explained how, despite the misnomers about the word and the movement, he realized his upbringing was inherently feminist. “Without a doubt, that’s because of my mom. My aunt, grandmother. Most of my teachers were female in school. I grew up in a world where authority was female. [But] I never thought to call myself a feminist because of branding. I had this skewed idea of feminist: I thought it meant being a woman who hates men. When I read Chimamanda Ngozi Adichie’s ‘We Should All Be Feminists‘, I was like, “Oh, this is what my mom taught me. This is simple. I don’t understand why everybody is not this,” he said. 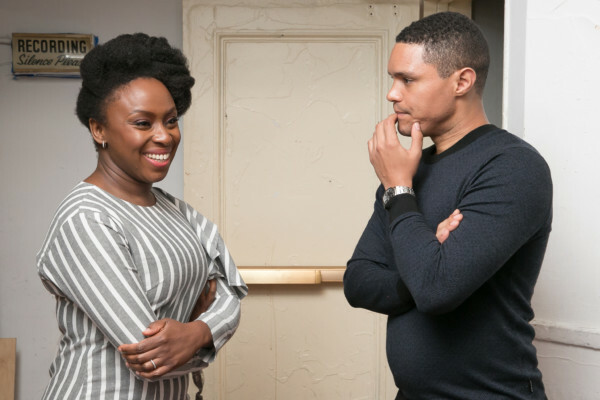 In May 2017 he was a guest alongside Chimamanda for an interview with Pen America, where the two talked about their upbringing in Africa (hers in Nigeria) among many other topics. You can watch the full conversation on Youtube. On an episode of his show early in 2017, he also shared about his feminist influences growing up in South Africa, after the huge success of the Women’s March in January. “The movement in South Africa was held together in large part by women in the country. It’s weird for me, when you travel the world you know that everywhere feminism is different, but I grew up in a world that was very matriarchal, and where women were the most dangerous freedom fighters that existed. Nelson Mandela was an icon, but the police in the country were afraid of Winnie Mandela,” he said. Although he has been hosting ‘The Daily Show’ for 2 years now, he says it was the election of Donald Trump and all the craziness that followed which allowed him to really find his own voice and brand the show the way he wanted. Trevor says it is important to have people in the mainstream media, like him, who are able to present a different perspective. “There’s an advantage in looking at the world and talking through ideas that aren’t talked about anywhere else in the same way. The misconception has been: Is it a black show, or is it ‘The Daily Show’? Why can’t ‘The Daily Show’ be hosted by a black person and have black people working on it? It doesn’t have to be either-or,” he said. He told Phoebe Robinson that his diverse cast of correspondents, which currently and previously have included Jessica Williams, Hassan Minhaj, Michelle Wolf, Ronny Chieng, Gina Yashere, Roy Wood Jr., and Dulce Sloan among others, weren’t cast on purpose, but diverse voices are important. “If you have a room that has 12 of the same person, you are bound to get 12 of the same jokes. I never thought of the diverse cast members as a mission. I just want original people—a person who is really funny and who makes me say, ‘I’ve never heard that before’,” he said. We sure are glad to have his unapologetic feminist voice in the late night lineup, as comedians are proving to be important vehicles of influence in the Trump era. 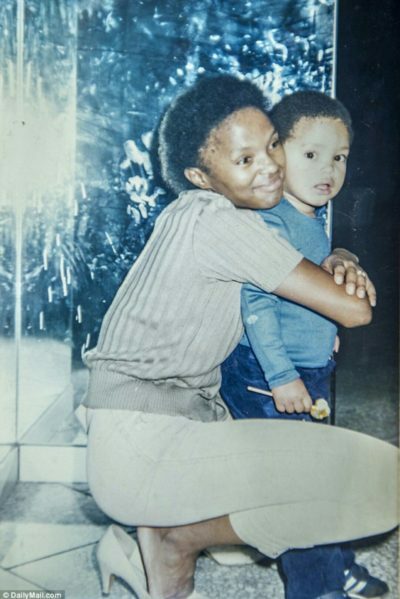 Trevor Noah embodies the saying “the personal is political” as he was born into it. Here’s to more men understanding the importance of diverse voices and female leadership in the world today.